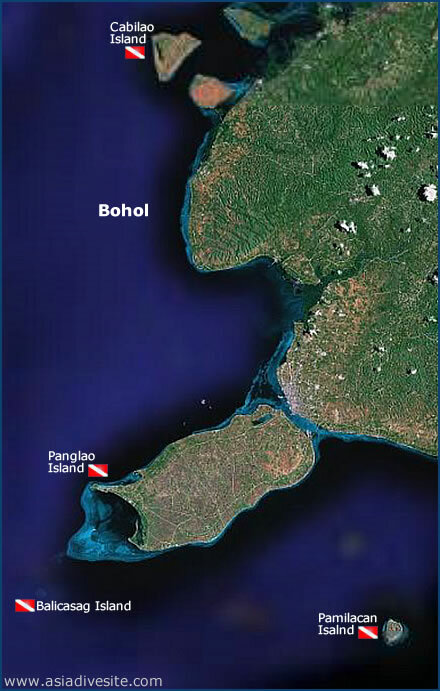 Bohol is an Island Province in the Visayas region. Its capital is Tagbilaran and it is the 10th largest island in the Philippines. With Cebu to the west, Leyte to the northeast and Mindanao to the south, Bohol is surrounded by other islands. As a result, it is fairly sheltered from typhoons and the heaviest of the rains. Bohol has long been regarded as having some of the best diving in the Philippines, particularly along the southwest corner. Most of the sites are located on four islands that are easily reachable from the mainland, so the geographical structure of this section takes that form. The diversity of diving here makes Bohol attractive for all - from novices to the more experienced. Night diving, in certain areas, is especially good. Getting there : Flight to Cebu from Manila and fast ferry to Tagbilaran. 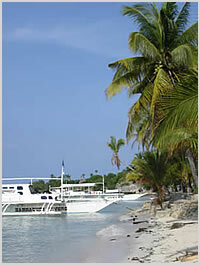 Transfers to dive sites are up to 1 hr by road or sea from there.